Catherine and Tommy’s wedding at Stapleford Park in rural Leicestershire was my very last wedding before I had a Catherine of my own! Typically, for a November wedding, I’d bring out the big flashes to compensate for the failing light as the afternoon wears on. Catherine and Tommy’s day was like a crisp spring day, which totally changed the plan! 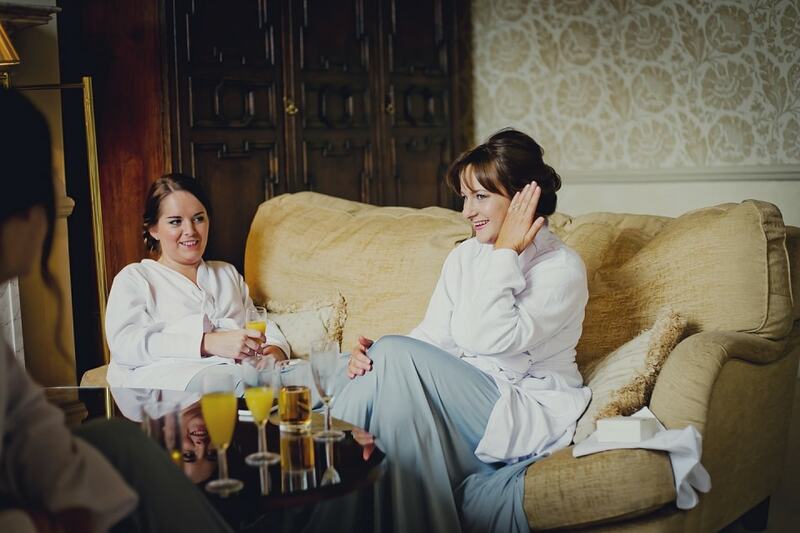 Stapleford Park is renowned as a wedding venue that boasts opulence and grandeur. One of the bridal suites at Stapleford, from a wedding photography point of view, is a photographer’s dream. High ceilings, huge windows dressed with heavy draped fabric, and fine French furniture make for incredible bridal portraits. Catherine is strikingly beautiful, and decided to have dramatic bridal makeup, which was done by Paula Tennant. I’ve worked with Paula on a few other weddings, and now recommend her to my brides. She is a pleasure to have in the bridal room on a wedding morning. Paula is absolutely meticulous in making sure that the finish to her makeup is flawless. I have to say, in Catherine’s case, her makeup looked as fresh at 10pm that night, as it had done at 1oa.m. 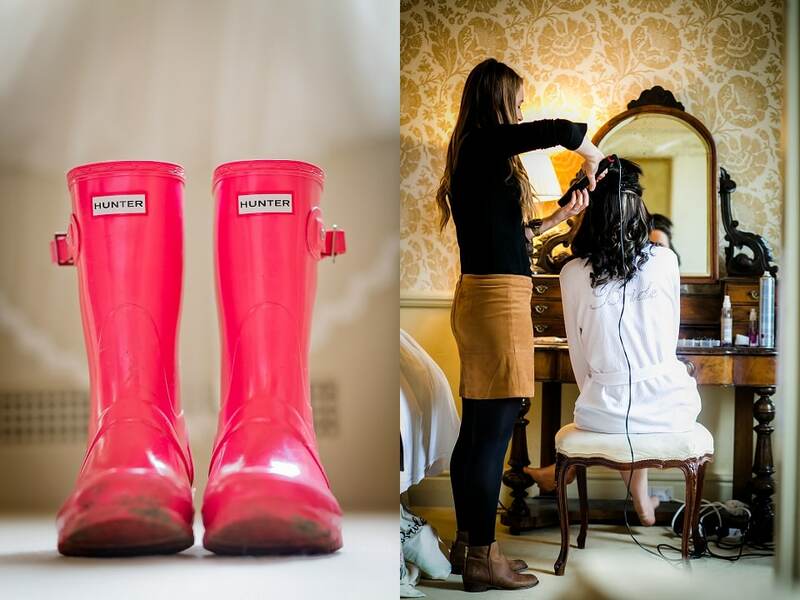 The highlight of Catherine’s early preparations was her being introduced – by video – to her wedding gift from Tommy – the sweetest, sweetest little Pug called Manuel! For those wondering about the dresses (I get asked a lot) – they are from Dessy. Completely versatile and wearable in lots of ways to suit your shape. If you choose Stapleford as your wedding venue, you can rest assured that the opportunities for stunning portraits are limitless. Indoors, the grand staircase offers stunning natural diffused light through the glass dome above. Outdoors, the formal gardens, designed by Capability Brown provide the perfect backdrop for couple portraits that have a “wow” about them. Stapleford Park is without doubt one of England’s most prestigious, picturesque venues for a dream country house wedding.